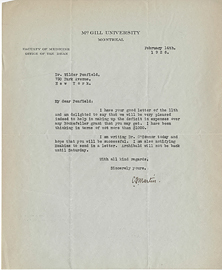 Letter from Charles F. Martin to Wilder Penfield, February 7, 1929. 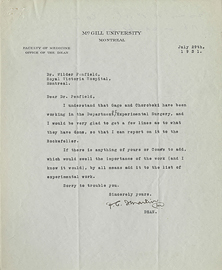 Letter from Charles F. Martin to Wilder Penfield, July 29, 1931. 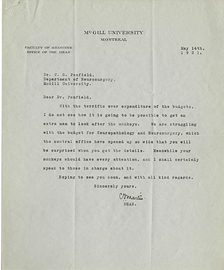 Letter from Charles F. Martin to Wilder Penfield, June 5, 1929. 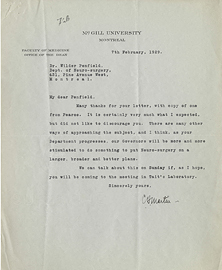 Letter from Charles F. Martin to Wilder Penfield, May 14, 1931. 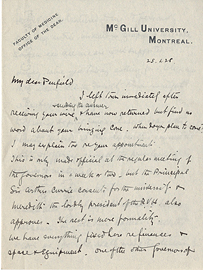 Letter from Charles F. Martin to Wilder Penfield, November 1, 1929. 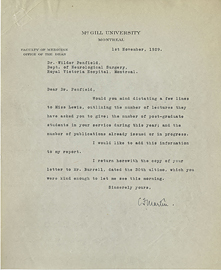 Letter from Charles F. Martin to Wilder Penfield, November 10, 1931. 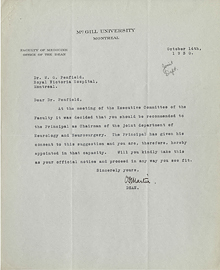 Letter from Charles F. Martin to Wilder Penfield, October 14, 1930. 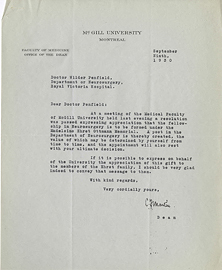 Letter from Charles F. Martin to Wilder Penfield, September 10, 1934. 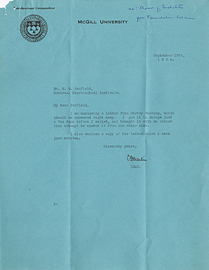 Letter from Charles F. Martin to Wilder Penfield, September 9, 1930. 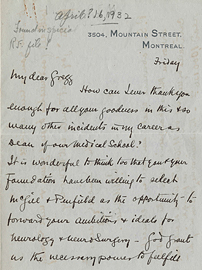 Letter from Charles Martin to Alan Gregg, April 16, 1932. 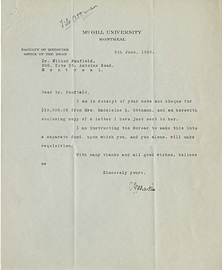 Letter from Charles Martin to Wilder Penfield January 25, 1928. 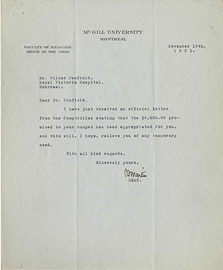 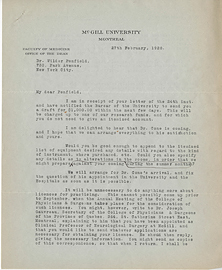 Letter from Charles Martin to Wilder Penfield regarding Dr. Cone, January 12, 1928. 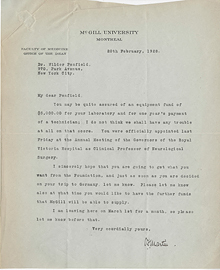 Letter from Charles Martin to Wilder Penfield, February 20, 1928. 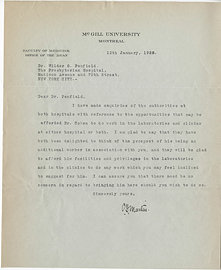 Letter from Charles Martin to Wilder Penfield, February 27, 1928.